Originally a single-player only title, the Ukranian devs at Whale Rock Games have recently added local co-op to We Are The Dwarves. The game follows the adventures of three Dwarven astronauts who are searching for a new power source as their stars are dying. In the main game, you control each of the dwarves - Forcer, Smashfit, and Shadow - as you battle the denizens of the foreign world. If the names were any clue, each of these brusque characters has his own unique set of abilities, which you'll have to choose how to employ in order to win the day. 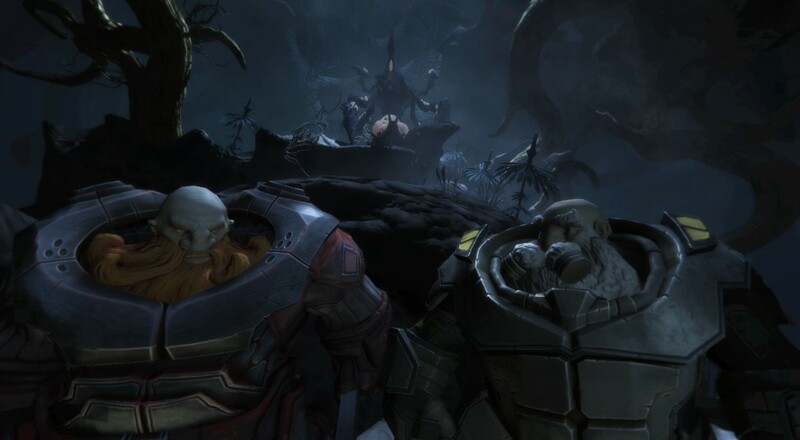 Think X-COM with Dwarves. The added co-op mode is actually separate from the main campaign. There are four co-op specific levels you can play with up to two other friends (one friend for each dwarf). The co-op only supports gamepad use, so be sure to have enough controllers to go around. We Are The Dwarves is available on Steam for $14.99. Page created in 1.0543 seconds.